PETER Beardsley believes the hand of history is on Roy Hodgson’s shoulder this summer. TOON legend Alan Shearer says Newcastle United's hard work starts now after they qualified for the Europa League. CRAIG Gordon is moving closer to joining Celtic this summer in a move which will see him leave Sunderland on a free transfer. MARTIN O'Neill was able to look Sir Alex Ferguson straight in the eye last night and say his team played with complete integrity throughout yesterday's incredible match at the Stadium of Light. FRAIZER Campbell will not get his ideal final game of the season with a Sunderland win and a 20th Premier League title for his former club Manchester United. NEWCASTLE United want to make Manchester United wonder kid Ravel Morrison their first January transfer window signing – but will have to nearly double their initial offer to get him. ENGLAND’S top clubs no longer dare risk resting their top players at St James’ Park – according to Alan Pardew. HE will leave Tyneside with a heavy heart, but Demba Ba feels the pull of national service next month is too pressing to ignore. 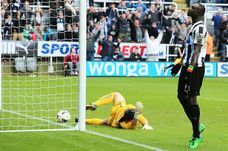 SELF-BELIEF is the reason for Tim Krul’s emergence as one of the Premier League’s most impressive goalkeepers, according to Newcastle United manager Alan Pardew. ALAN Pardew admits Wayne Rooney is a “problem” for Newcastle United. MICHAEL TURNER is backing Keiren Westwood to shine after the Republic of Ireland goalkeeper’s heroic Premier League debut at Old Trafford. PERHAPS it was inevitable Steve Bruce would wake up yesterday with a colossal headache and no more points than he started the weekend with, but the unexpected causes of both will infuriate him, and the headache may take a long time to clear. MIDDLESBROUGH boss Tony Mowbray has hailed utility man Rhys Williams and says there should be more like him in football. THE time for Sunderland’s £8m teenager Connor Wickham to come of footballing age could well be nigh. STEVE Bruce has been told to wait until Danny Welbeck returns to pre-season training with Manchester United to ask whether the England Under-21 international can return to Sunderland next season, writes LUKE EDWARDS. STEVEN Taylor has been told to galvanise a flagging career after Alan Pardew suggested the centre-back’s development has stagnated at Newcastle United. AS a nine-year-old, Ian Miller went to Wembley to watch his beloved Colchester United win the FA Trophy. ALAN Pardew paid tribute to referee Lee Probert for the part he played in helping Newcastle United to the 40-point mark. TIM Krul could be Newcastle United’s last line of defence as Wayne Rooney and company look to take their frustrations out on the Magpies tonight. This year’s PFA Team of the Season was named on Sunday, minus Joey Barton. DANNY Simpson had the swagger, the talk and the attitude. He had the ego, the fast car, the bling, the girls and the celebrity friends. SUNDERLAND'S players have been given a few history lessons this week. PAUL Robinson pulled off a superb second half save to deny Newcastle victory at Ewood Park on a day both sides had cause to be dissatisfied with a point. ONE day Jordan Henderson will play for someone else, but right now the midfielder cannot even get a weekend off from Sunderland duties. SUNDERLAND striker Darren Bent is believed to be in talks with Aston Villa over an £18m move to the Midlands side. BLACKPOOL’S season has been such a story of surprises, perhaps no one should raise an eyebrow any more. POPPING around to see the relatives at Christmas can often seem like a good idea, but does not always end as you hoped. IN public at least, Steve Bruce has written off his chances of being able to sign Danny Welbeck from Manchester United. ANDY Carroll has got Premier League defenders running scared as Newcastle United’s number nine continues to improve his all-round game. DANNY Welbeck has admitted four months at the Stadium of Light have done more for his career than staying at Manchester United could - but has stopped short of saying he would like to grant Steve Bruce's wish and make the move permanent. England call for Andy and Jordan? NORTH East hot prospects Andy Carroll and Jordan Henderson are poised for a first call-up to the senior England squad. SUNDERLAND are in a position to resist anything but “silly money” for their star performers, but just as importantly Steve Bruce believes his top players can see a club going places. ANDY Carroll has been told to put an end to his off-the-pitch troubles as Chris Hughton admitted he is still to decide whether the striker should keep his place in the side against West Ham United this weekend.